It’s been almost a month’s break from the blog, and, if I may add, a few thousands miles away as well. So to get things back on track (to make up for the lack of internet for the past few days/ a week or so and all), let’s take a recap on how things were the last few weeks of last semester. Exams were, well, pretty okay, I guess. I wanted to drop by in the middle of the exams week (since I had a gap from Monday to Saturday, but with my FM exam in the middle and all, not much of a gap, I guess), but never had the mood to actually sit down and type up a post or two. The exam results are all out, and the grades are up for the Fall 2014 semester. It’s not as I expected, but considering the fact that I knew I didn’t do as well as I hoped I did on the final exams, I guess I deserved those grades. They aren’t that bad, I guess, it’s still pretty okay and decent, but I guess I can actually do far better than that if I just put in more effort. But enough of my exams and all. It’s the holiday season, so time to be jolly and happy, aite? Yep! 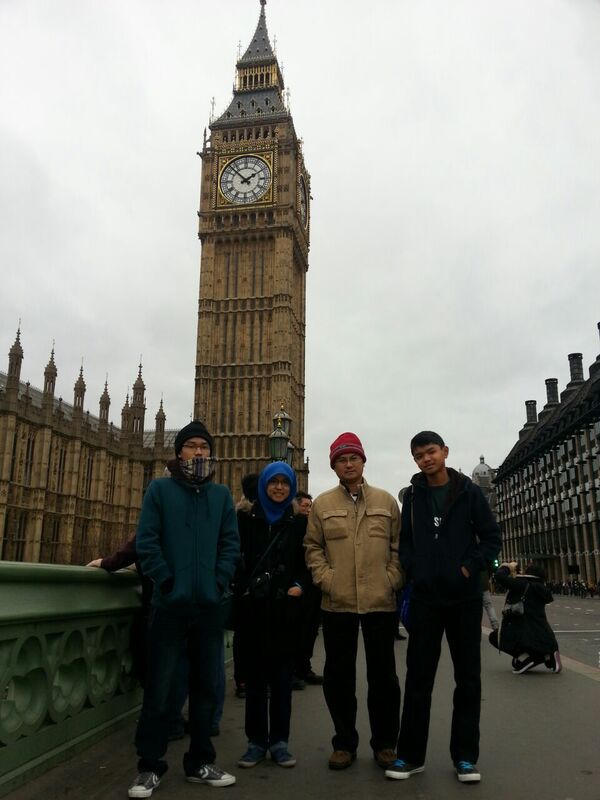 I’m currently travelling with my family (excluding my older brother though, since he’s facing his finals in UTP) in England & Ireland! It’s been a great trip so far (though, the lack of WiFi in Ireland does make it a bit harder though, but oh well), and I’m looking forward to the next week or so. After my last exam on Saturday morning, I took the Sunday morning flight out of Chicago to London Heathrow Airport, and met up with them in London. 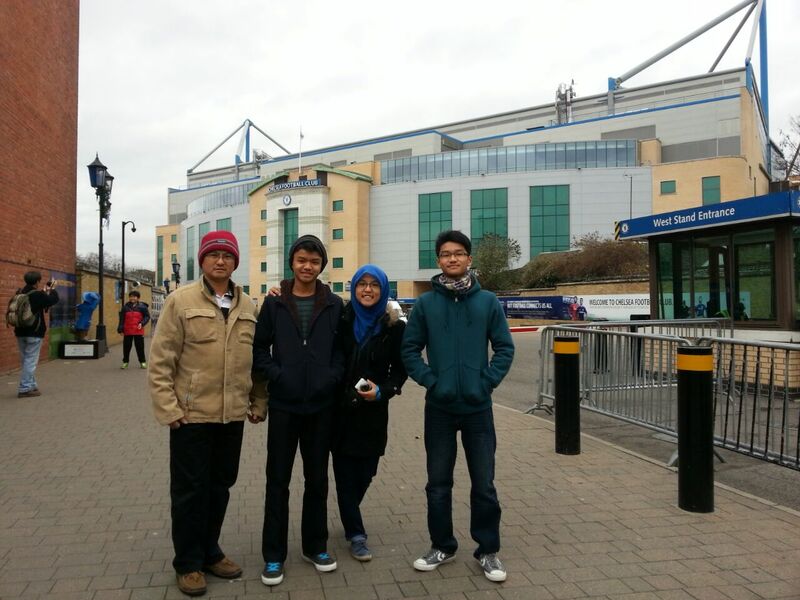 My first day in London was spent by visiting Big Ben & London Eye, as well as touring Stamford Bridge – home of the Chelsea Football Club. I wanted to tour the Emirates (Arsenal ftw! ), but that’s my plan for when I’m in London alone (I’d be staying with some friends after my family return to Malaysia). We then flew to Dublin, Ireland, rented a car and drove to Galway. Our first few days were spent in a small countryside city named Ballyvaghan (and there was literally no internet or WiFi in the area). It was a pretty place though, and very scenic. The picture above was taken at the Cliffs of Moher, about an hour or so away drive from the town of Ballyvaghan. We spent the first day driving to the city of Galway, wanting to look around in the city, but there wasn’t much to see there anyway ._. 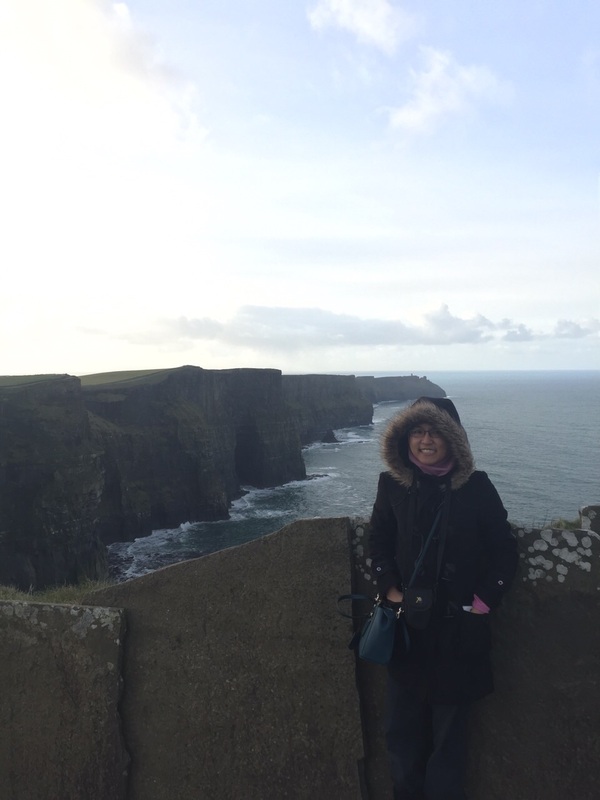 But the Cliffs of Moher, and the drive there, on our second day was fun. (and no, that’s not purely because there was free internet connection at the Cliffs of Moher :p). We’re currently in Cobh, Ireland, which is famous for being the last port-of-call for the Titanic ship. Yep, this was its last port before it sailed off for its first (and last) sail ever. It’s also a bigger city (town?) than Ballyvaghan, and now that Christmas’s over, hopefully there’d be more shops opening and more activities that we’d be able to do (we weren’t able to do much in Ballyvaghan because everything pretty much closed for Christmas). So yeah, that’s pretty much it for now. We’d be here in Cobh for a few days, then we’re heading to Dublin to tour RCSI (and UCD, probably) and meet up with an old friend of mine. Then we’re off to London again, where we’d go on a tour at the Warner Bro’s studio for Harry Potter. I’d also be watching the Arsenal vs Hull game at the Emirates with my senior, as well as meeting up with some old friends back from 2005/2006, so that would definitely be a good thing to look forward to. Until next time, take care and stay awesome. Hope your 2014 is ending perfectly, and may 2015 brings you lots of joy and happiness! Previous post	Ask, but Ask the Right Questions. Next post	My Post-SPM Story.